In the travel industry, Memorial Day Weekend marks the start of the busiest travel season of the year. While many of us were grilling, floating on the lake, or simply enjoying the quiet three-day weekend, we hopefully found a few moments to pause and either silently or publicly thank those who died while serving our country. While serving each of us. Giving what they could for this country - and for those of us who are privileged to call it home. 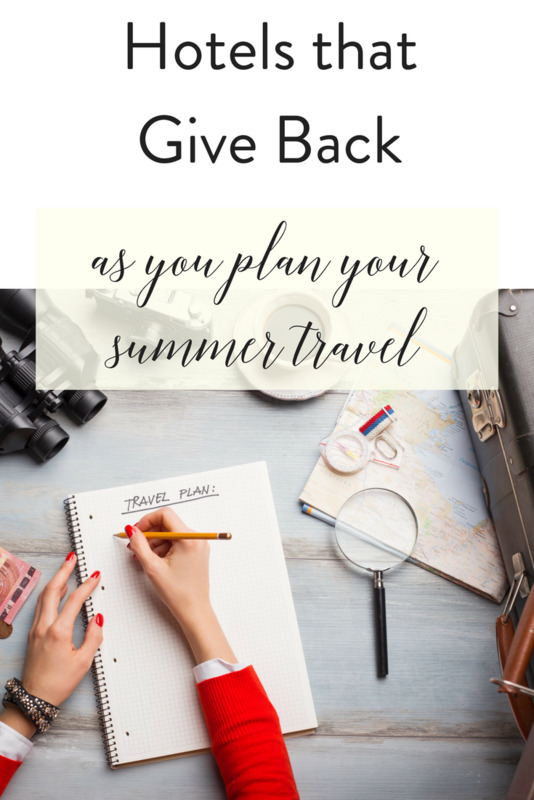 With my mind on service and summer travel, I started thinking about hotels and other hospitality organizations who give back to their communities. 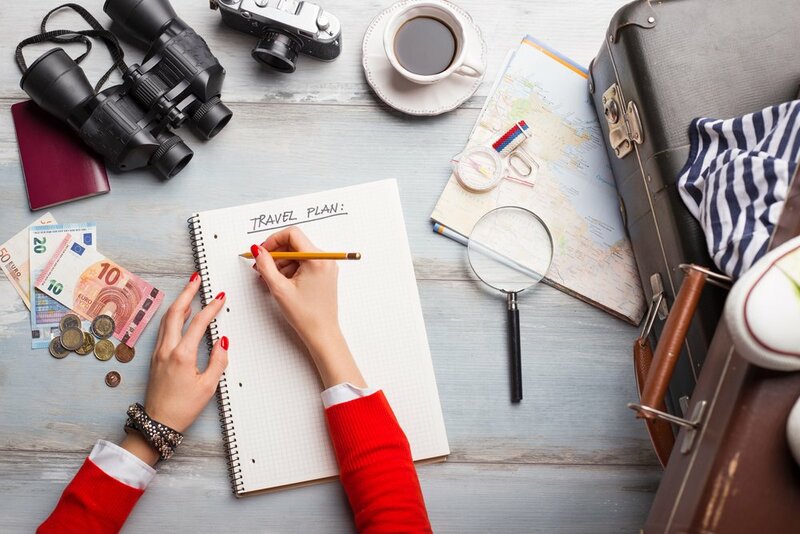 Many of us will be traveling during the next three months and may already have favorite hotels, inns or rentals. But, if you find yourself researching the perfect place to stay, perhaps consider a place that has a strong philanthropic policy - where at least a few of your dollars spent will help someone else. There are so many hotels with employee volunteer programs, sustainability policies, etc. So many! This is by no means even the beginning of a comprehensive list (it's only three properties!). But the three below seem to have created something special. 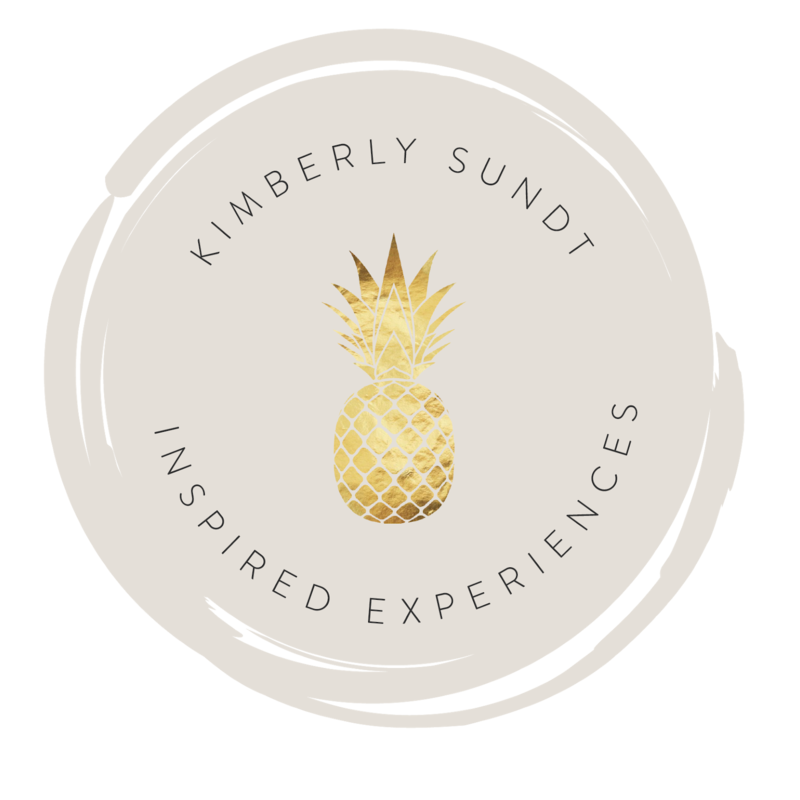 Created something so unique or soul-filled it made me want to go to their websites and learn more - and perhaps book a summer vacation. I think each is a creative great example of the different ways the hospitality industry can influence and be a part of their communities. Note: I have not stayed at or visited any of these properties. This is just the information I found while looking for hotels that give back. 506 Lofts opened in 2016 and is in the heart of downtown Nashville, one block from the Ryman Auditorium and two blocks from Broadway, the music-filled epicenter of Nashville. This 135+-year-old building houses five rooms and combines local history + local materials + local artists. Thus, this is probably a property that is more for the Airbnb type traveler who loves local!. It's not full-service, but is filled with history and creativity. For every stay, they give back 5% to surrounding Nashville homeless shelters, either to the Nashville Rescue Mission or Room in the Inn. The owners employed local craftsmen to furnish the rooms and commissioned local artists to provide the art. And the rooms tell a story. The Monkey Bar loft (above) is named after the food counter in Harvey's Department Store that was at 506 Church St. from the 1940s to the 1980s - the name of each loft ties back to the history of the building or the area. So, by employing local craftsmen and artists and helping the homeless, I think this tiny place makes a big difference. And I love that "GIVING" is right there on their site's navigation bar. "Premium hospitality with a cause." Here is what premium hospitality with a cause looks like at the Good Hotel London . . . Developed by the Good Hotel Group, this 148-room hotel was designed and built in Amsterdam in 2015 as a pop-up social enterprise project. In the fall of 2016, the 8 million kilo hotel was put onto a submersible barge and moved to London. And for the next five years, it will live on the River Thames in London at the Royal Victoria Docks. One of its aims is to give opportunities to those who are struggling to find employment. I think this hotel is fabulous and fascinating. I have fallen in love with it. The Good Hotel says, "We want to redefine the model of how business is done - combining doing business with doing good and quality." We want to redefine the model of how business is done - combining doing business with doing good and quality. They are local. They source their ingredients, materials, and labor locally. They upcycle and are committed to sustainability. This is good, but keep reading. For every room that you book through their website, they donate 5 pounds per night to the organization Ninos de Guatemala. That's about $6.40 USD per night per room - not bad! But keep reading. . .
3. Approximately 30% of their employees are (were) long-term unemployed locals. The Good Group finds these individuals, gives them hospitality training followed by on-the-job-training and a full-time position at the hotel with a full-time salary and continued support. After a certain number of months, they leave the program and work in the area and a new group starts. And, it sounds like it is such a do-good concept that the experience would suffer, but it appears not. They have all-day dining in The Living Room, event/meeting space and a community work space. They feature London craft beers, a rooftop garden bar and four different types of rooms, most with a view or the River Thames. Free wi-fi, 24-hour concierge and free iPad use for guests. And, to make all of that even more special......every penny the hotel makes is reinvested. Most of the large hotel chains have some sort of policy where they donate or volunteer within the communities where they have hotels. But the Say Goodnight to Hunger campaign at Omni Hotels & Resorts seems bigger and deeper than most. It launched almost a year ago: when a guest books room directly at OmniHotels.com, the company promises to feed a family of four - that's four meals. A family of four ! Omni works with Feeding America and obviously engages their employees to play a large part in the program, it really is impressive. Omni has over 60 properties across North America, so chances are you will find yourself in one of their cities. Also, I love the fact that the dollars/meals affect families in need in the 42 communities where Omni Hotels & Resorts operate. I think perhaps what makes this program seem so special is the employee involvement. Now maybe these employees just do really well for the cameras, but I don't think so. I also found this video which I thought was simply delightful. These three companies obviously take great pride in their programs - as they should! What is interesting and perhaps the current trend is that they don't just give back, but they enable you the guest to be a part of giving back. If you stay with one of these or any property that is proud of how they give back, I hope you have that feel-good feeling. If so, maybe take a minute and thank one of the employees - at the very least, I bet it will remind them to be proud to be part of an industry that serves. Now start planning those summer getaways! Safe Travels!